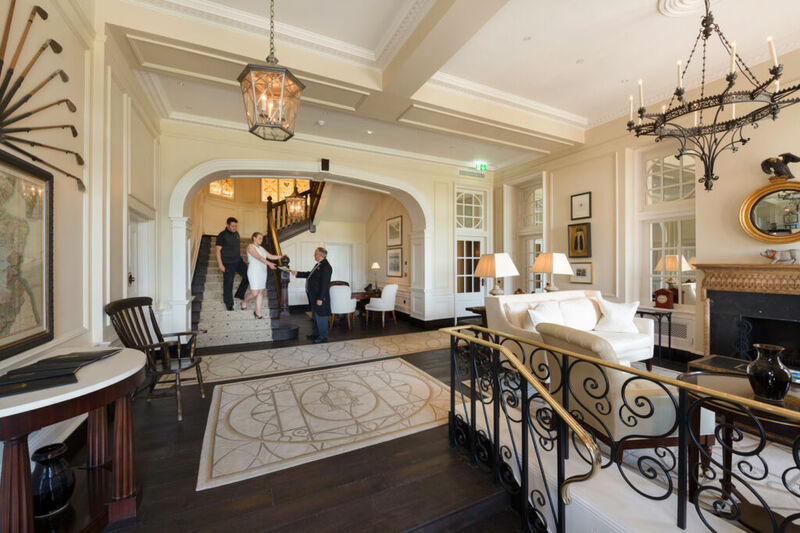 Hamilton Grand, the “second most photographed building in golf” comprising 26 luxury residences on the 18th hole of St Andrews’ Old Course, is an excellent reflection of the increasingly buoyant million-pound property market in Scotland. North of the border, there were 211 property sales above £1m last year, which is the highest number since 2008, and Hamilton Grand alone accounted for four of the properties sold, with only ten apartments now available1. Located on Golf Place, recent Bank of Scotland research listed it as the most expensive street in Scotland at £2,490 per square foot, which sets a new price record. This iconic red sandstone building – with its distinctive bell-shaped dome – has provided the backdrop to some of the most famous moments in golf history. The building has a colourful heritage, starting off life as a 100-bedroom luxury hotel in 1895, the first in Scotland with hot and cold running water in each bedroom and the first with an elevator. 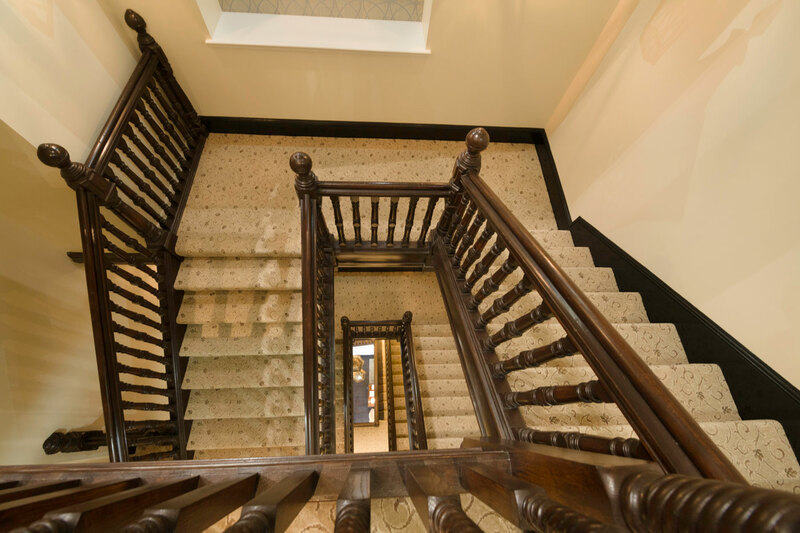 It was requisitioned by the Air Ministry in the Second World War as a home for pilots. Post-war, The University of St Andrews purchased it and converted the hotel into student accommodation, and so it stayed for 56 years until Kohler Co. bought it in 2005 and began the refurbishment in 2009. 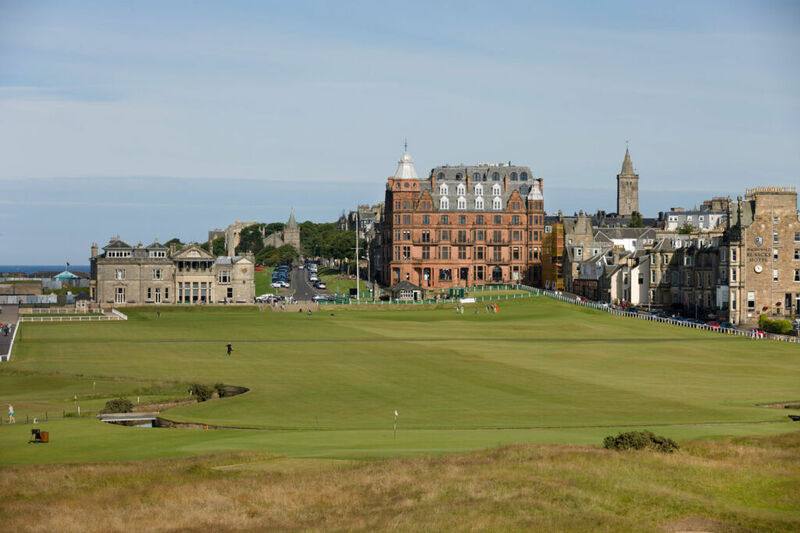 St Andrews attracts international buyers in a way no other location does. 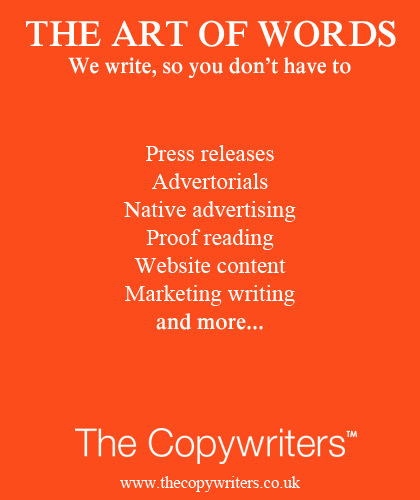 The past 12 months have emphasised this with lots of high-value sales to buyers from abroad, including many parents of university students. Scotland offers striking value with the top 26 sales in Scotland last year equating to the most recent £55m purchase in Mayfair, London. The living space in apartment 7. Residences are individually designed with architectural features such as high ceilings, arched windows, columns and private balconies. 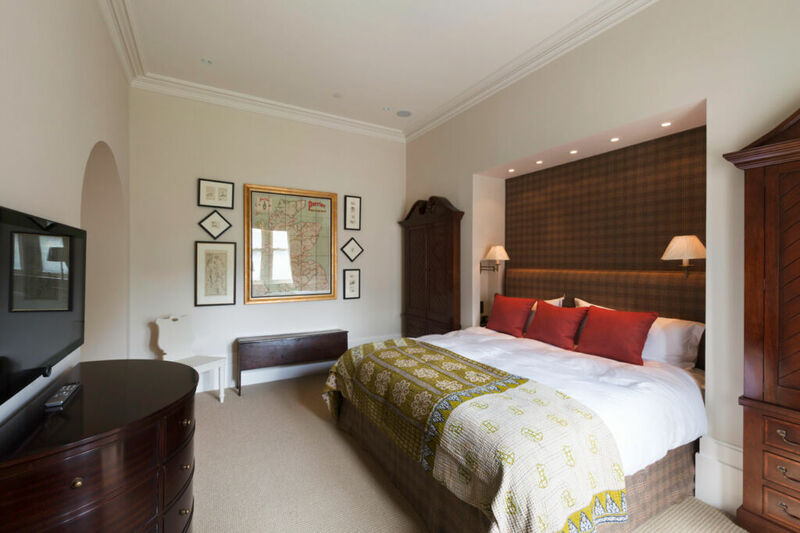 Exquisite furnishings and finishes combine with unrivalled attention to detail, such as the golfing memorabilia. 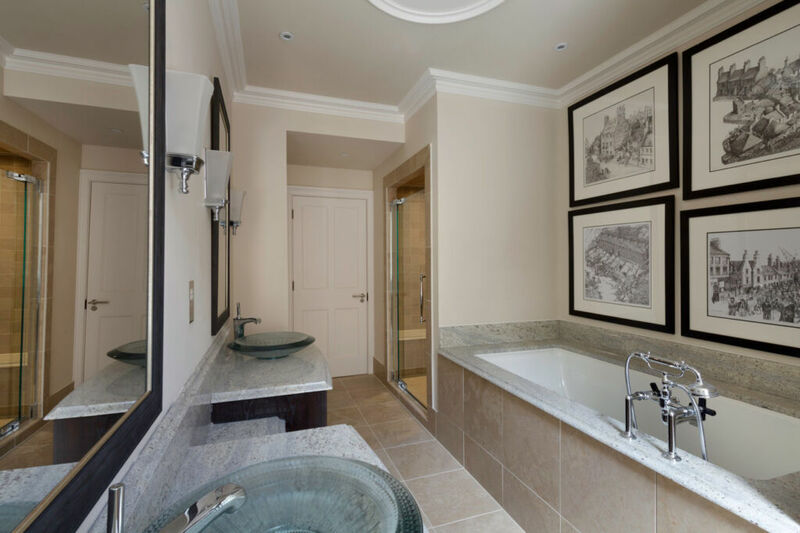 Apartments come furnished with bathroom fixtures, kitchen cabinets and appliances. 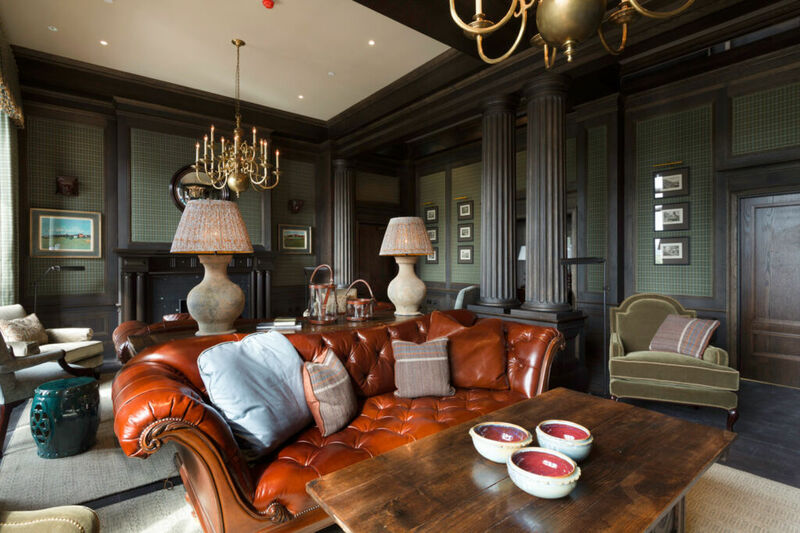 Kohler Design Services offer bespoke interior design solutions including furnishing, flooring, lighting, painting or wall coverings, and cater to every taste from traditional Scottish to contemporary. 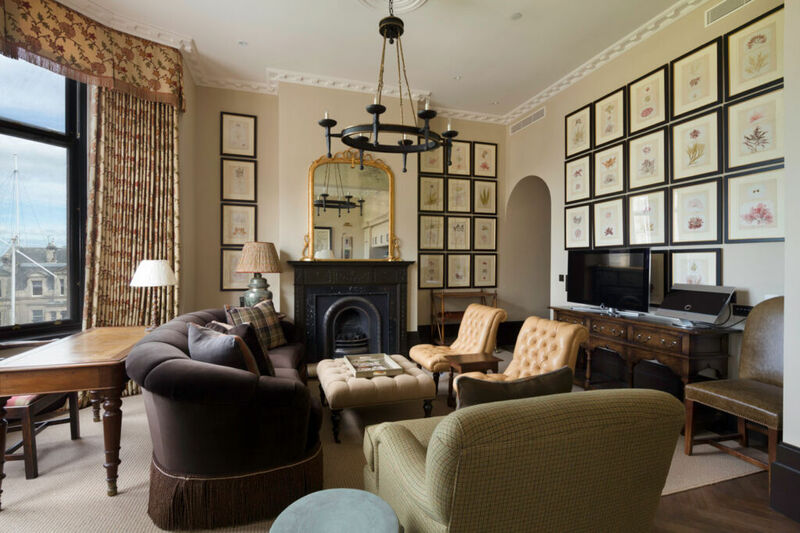 Over the past ten years, St Andrews has established itself as the most expensive location for homes in Scotland. Jamie Macnab, Head of Savills Country Homes department in Scotland commented: “The prices on Golf Place, The Scores and The Links are significantly higher that the top prices paid in Edinburgh and Glasgow. This is because St Andrews attracts buyers from all over the world who are gripped by the history and magic of the place. St Andrews is as much the “Mecca of Golf” to the great champions as it is to the mere devotee. 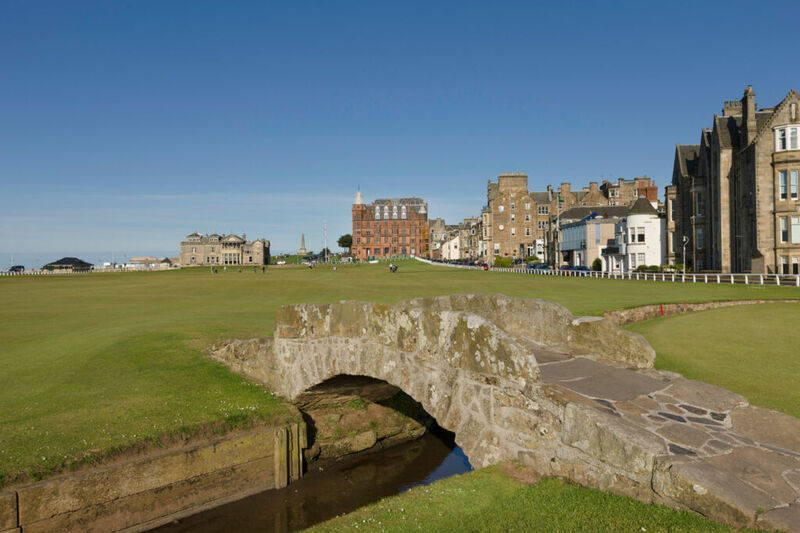 A golf bucket list is not complete without the experience of St Andrews; after all, this is where golf began. 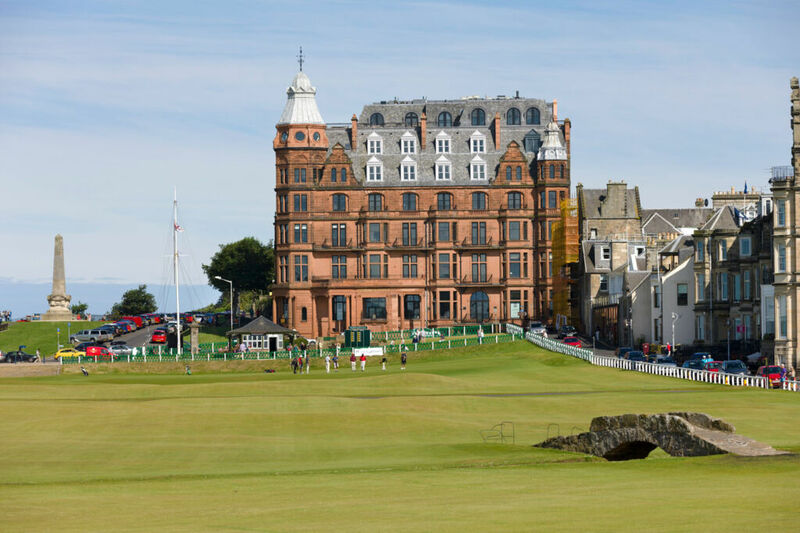 There are more golf courses per person in Scotland than anywhere else in the world, and St Andrews is home to 11 in total – 7 of Championship class – a world-renowned golf academy, as well as The Royal and Ancient Golf Club that sets the rules of golf worldwide. Golf membership of The Duke’s Course, a championship parkland course is available to residents for an additional fee. 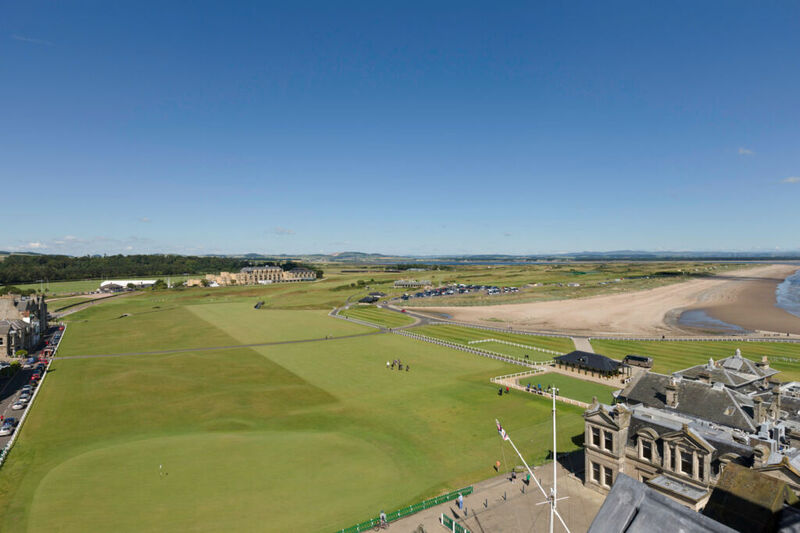 For a minimal annual fee, Hamilton Grand owners who are permanent residents for more than six months per annum are eligible to apply for a links ticket providing access to the Old Course and the six other courses of the links trust. 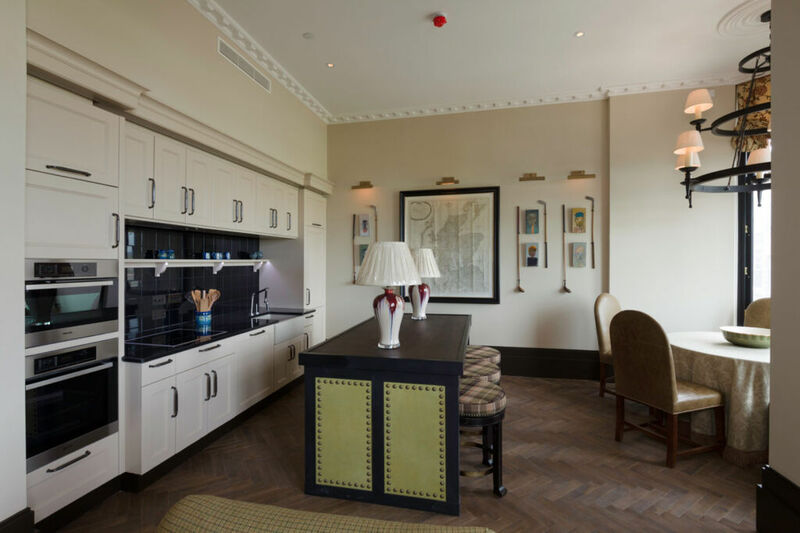 Hamilton Grand residents enjoy access to not only the finest golf but also the top-class dining in Scotland. 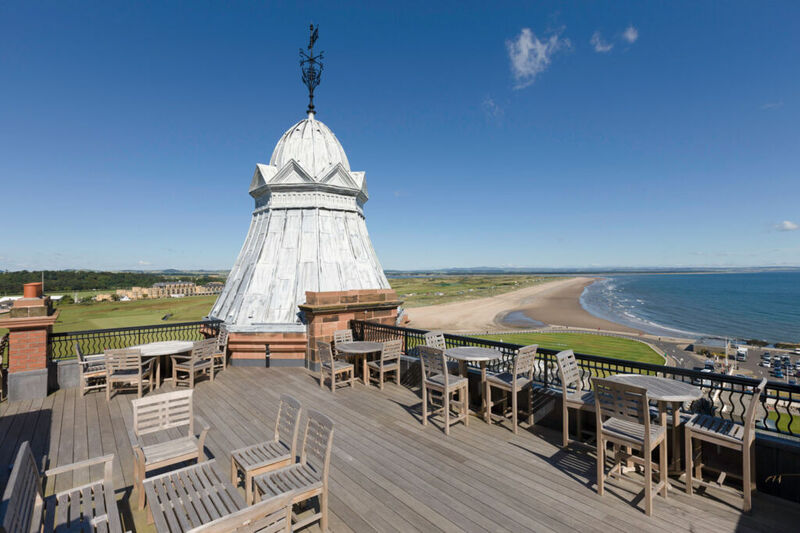 St Andrews newest ‘19th hole’ is directly adjacent to the residences is Hams Hame Pub Grill, offering Scottish cuisine, and the neighbouring Old Course Hotel, Golf Resort & Spa features the Road Hole Restaurant, rated 3 AA Rosettes, and the elegantly casual Sands Grill. The town also offers excellent transport links with a train station, good road access from Edinburgh and other destinations, and Leuchars airfield for private jet arrivals. There is also an increasing trend of buyers identifying pre-requisites such as excellent transport links with the best telecommunications, most notably fast broadband speed, due to strong interest for out of town options due to more and more people opting to work from home. The hubs of Edinburgh and Glasgow are not the only places for big-ticket purchases any more. 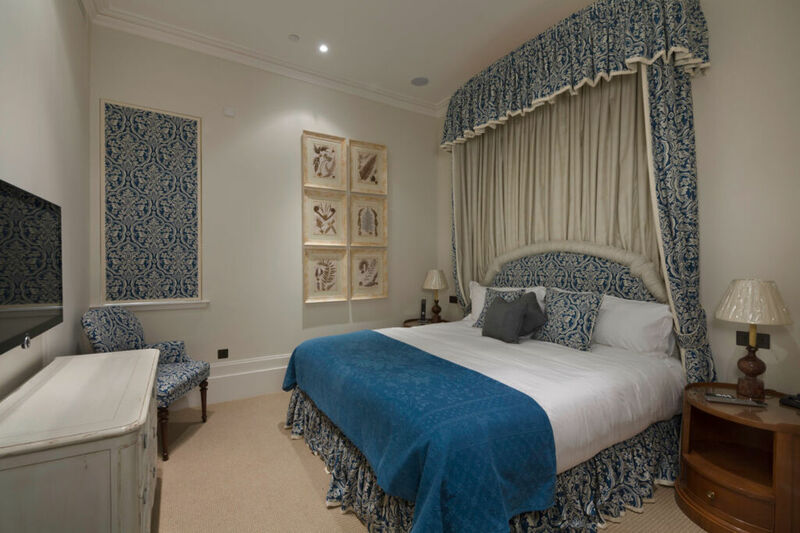 There is an uptick of movement from England to north of the border, where a buyer can get more space and better quality for their budget.